Read our helpful guide to second hand Ford C Max. Why buy a used C Max? Which used C Max should I buy? AA Cars works closely with thousands of UK used car dealers to bring you one of the largest selections of Ford C Max cars on the market. 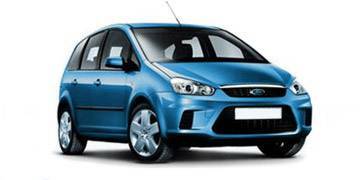 You can also browse Ford dealers to find a second hand car close to you today. All used Ford C Max on the AA Cars website come with free 12 months breakdown cover. With comparatively low running costs, plenty of space and handling that marks it out as one of the best-in-class, the C-Max has emerged as a serious contender for the title of ultimate modern family car. In an urban setting, the handling is light and agile, on a motorway it's comfortable and composed. 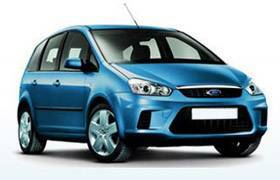 If you're looking to cut costs, consider the 1.6 diesel which offers a low company car tax, no road tax and over 60mpg. Inside, the soft-touch materials convey quality, the elevated position offers excellent stability and there are plenty extras - consider the upgraded Zetec trim which offers alloys, AC, DAB Radio and heated front screen. The car earned top marks for safety in the Euro NCAP Safety tests and, in terms of flexibility, there can be fewer better cars: the three back seats in the five-seat model can even be removed entirely for the very biggest loadspace. The Ford C-MAX is one of the leading cars of its class due to it being spacious, practical and one of the best handling cars of its size. Along with it being economical to run and reliable, the C-MAX is one of the top sellers in the MPV market, despite being a latecomer to the scene. Its mix of space and practicality, along with offering an exciting drive, has made it popular with anyone looking for a family car that can offer a bit more life. One of the leading cars in the MPV market, the strengths of the Ford C-MAX are its space, practicality and handling. As with most cars in the MPV category, the biggest draw of the C-MAX is its space. Previously there was no seven seat option in the C-MAX range, which did set it behind many of its rivals. Since 2009 however, the seven seater C-MAX Grand has been available, widening the range to be more competitive. In the five seat model passenger space is ample, and with all but the front two seats folded the C-MAX offers around 1,700 litres of luggage space. This space option may be a fairly standard offering in the MPV category, but where the C-MAX comes into its own is out on the road. Steering and handling make the C-MAX both light and manoeuvrable at low speeds, and quick and responsive when faster. Despite its size, body roll is minimal, and as a result the car is surprisingly nimble. Diesels are typically more popular than their petrol counterparts among C-MAX drivers, but there is a good choice on offer. There is a range of Ecoboost petrol engines - which offer better efficiency - available on the newer C-MAXs, while the diesels return between around 45 and 60 mpg economy, making them a strong economical option. The second generation models are some of the most eye catching in the MPV market, which is undoubtedly an attraction in a class too often designed purely for practicality. Along with a good safety rating - having achieved the full five star rating in the Euro NCAP crash tests - a focus on quality finishings, and coming well-equipped, the C-MAX remains one of the leading family MPVs on the market. The Ford C-MAX is one of the most nimble and eye catching family MPVs available, and has remained popular since it was introduced in 2003. Here is a short history of the Ford C-MAX, starting from its launch in 2003. The Ford C-MAX was first launched in 2003. A facelifted version of the C-MAX was unveiled at the 2006 Bologna Motor Show, and later went on sale in 2007. The facelift revised the design in line with the Ford Kinetic design language, and featured angular headlights and larger wheel arches. The second generation Ford C-MAX was launched at the 2009 Frankfurt Motor Show, and was built on the manufacturer's new Global C platform. A new seven seat minivan C-MAX (Ford Grand C-MAX) was also added to the range. Two plug in hybrid models - the C-MAX Energi and the C-MAX Hybrid - were introduced in North America at the 2011 North American International Auto Show. 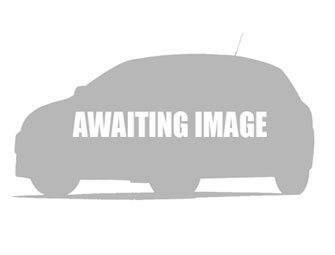 In 2011 the Ford C-Max Titanium was named as the UK's best value MPV by Parkers. In 2012 at the Washington Auto Show the C-MAX Energi was awarded the Green Car Vision Award by the Green Car Journal. All C-MAXs are fairly well equipped, so you can be sure that whatever model you choose you will be as comfortable as possible. Here are the key models (all available as either five or seven seaters), and their key features. 16" 5 spoke alloys, power steering, start/stop system, Intelligent Protection System, ABS with EBD, ESP with Traction Control and EBA, Emergency Brake Warning, full airbag system, ISOFIX childseat anchorage points, quickclear heated windscreen, manual air conditioning, Ford DAB audio system. 17" 15 spoke alloy wheels, power steering, start/stop system, Intelligent Protection System, ABS with EBD, ESP with Traction Control and EBA, Emergency Brake Warning, full airbag system, ISOFIX childseat anchorage points, rain-sensing wipers, quickclear heated windscreen, Ford Power Starter Button, dual zone electronic automatic temperature control. SONY DAB audio system. 17" 5x2 spoke Luster-Nickel finish wheels, panorama roof, power steering, start/stop system, Intelligent Protection System, ABS with EBD, ESP with Traction Control and EBA, Emergency Brake Warning, full airbag system, ISOFIX childseat anchorage points, rain-sensing wipers, quickclear heated windscreen, Ford Power Starter Button, dual zone electronic automatic temperature control. SONY DAB audio system. What should I look for when buying a used C Max? Fords are known for being stable and reliable, but to make sure that you stand the best possible chance of spotting a C-MAX in good condition, have a look for a few of these common problems. Take a walk around the outside of the car and check for any noticeable signs of rust or corrosion. Also keep an eye out for any mismatched panels or irregular paint work, as this could be a sign of the car being damaged in the past. One of the most common problems reported by C-MAX owners has been electrical faults. Make sure to double check that all electrics are working properly by testing the radio, any electric windows and air conditioning systems. Also check for a battery warning light illuminating on the dashboard, which has been a common complaint and is a possible symptom of a faulty alternator. Take it out for a test drive and listen for any unusual noises. If you hear a loud squeal when you brake in reverse, this could mean that replacement brake pads will be needed. Check over the paperwork to make sure the car has received proper levels of upkeep and that items like the cam belt - which on the C-MAX should be replaced within every 8 years or 100,000 miles - has been changed on schedule.